Construction firm Bina Puri Holdings Bhd is eyeing a contract worth around RM200 million to construct a retail mall and condominium at the Kota Kinabalu City Waterfront (KKCW) in Sabah. The four-storey mall will feature a waterfront lifestyle, with a "single-spine" concept incorporating high-end retailers, while the condominium will have designer suites. Bina Puri Construction Sdn Bhd (BPCSB) managing director Datuk Henry Tee Hock Hin said it is negotiating the contract with the developer, Waterfront Urban Development (WUD) Sdn Bhd. "Talks are still on-going. We are ironing out some details with WUD," Tee told Business Times in an interview in Kota Kinabalu. The RM500 million KKCW project, with a promenade centred on the culture of al-fresco and fine-dining, is a mixed commercial development comprising the mall and condominium, and a five-star international hotel. The whole development, which is a joint venture between WUD and the Kota Kinabalu City Hall, is expected to be completed by the first quarter of 2011. Tee said BPCSB has an existing contract with WUD worth RM30 million to lay the foundation for phase one of the development. 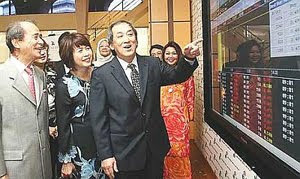 He added that the company is also eyeing another contract to build a mall for around RM100 million in Kuching, Sarawak. Tee declined to elaborate on the project, but added that BPCSB has a contract worth around RM60 million from the client to lay the foundation for the mall. Meanwhile, BPCSB is eyeing several projects in Sabah and Sarawak under the Ninth Malaysia Plan. These include hospital projects, roads, highways and private housing. "For private housing, we are looking mainly at constructing high-end condos for developers. That is our niche area," Tee said. BPCSB has several on-going projects in Sabah and Sarawak exceeding RM700 million. It is constructing phases 1 and 2 of Universiti Malaysia Sabah for RM150 million, and low-cost houses for Syarikat Perumahan Negara Bhd worth around RM400 million. BPCSB also recently completed the construction of the new State Assembly Hall in Kuching for RM300 million. KUALA LUMPUR: More than RM60mil in sales were closed at the three-day The Star Property Fair 2009. The 29 exhibitors, spreaded over 103 booths at the Kuala Lumpur Convention Centre, attended to thousands of homebuyers who thronged the fair from Friday. The roaring sales caught some property developers by surprise. They were under the impression that the fair, themed Stylish Living, would only create sales leads and promote awareness of their products. Tan said that holding a fair at such a venue seemed to draw a better crowd than those held in shopping malls. “There, you get walk-ins who are just there to look and move on, unlike at a convention centre where people come with a clear intention to buy,” he added. Sime Darby property sales consultant Muhd Khairul Nizam Abd Kader said the response was so good that some latecomers were disappointed that they could not get choice locations. A Setia Sky Residences spokesman said the response to the fair was overwhelming. “They are mostly locals, which is a good surprise too,” he added. Cahaya SPK sales executive Keane Kwong lauded Kuala Lumpur Convention Centre as a good location for the fair. Nusmetro Venture Sdn Bhd sales and marketing manager Shirley Cheong agreed, saying that her team would be able to draw upon the hundreds of registrations made at their booth over the three days. “I have a good batch of data and I strongly believe we can convert them to sales,” she said. 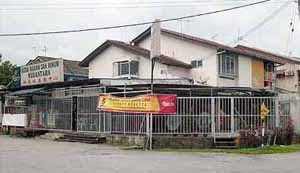 The Star Property Fair 2009 was the first to be held here after eight successful fairs in Penang. Besides finding good deals with the exhibitors, financial institutions, auctioneers and property agents, the housebuyers and investors were also treated to talks by experts in various fields pertaining to property. These included How To Be A Property Millionaire author Capt Azizi Ali, fengshui masters Joey Yap and Danny Koh and renowned Balinese landscape artist Made Wijaya. Visitors also had the chance to win prizes from Samsung that included a washing machine, refrigerator and air-conditioner. Sharing ideas: Wijaya showing Star Publications marketing services general manager Iris Tan (left) and Kenny Heights head of marketing Jennifer Chow the design concept of Kenny Heights. KUALA LUMPUR: An advice to local developers and home decorators - get out of the cliched and outdated “boxy” look. A prominent landscape designer urged Malaysian designers to put natural beauty and art back into its garden designs and return to her tropical forest roots. Made Wijaya, a landscape designer, said local designers should look towards the rich local culture like those in Kelantan and Terengganu for inspiration. 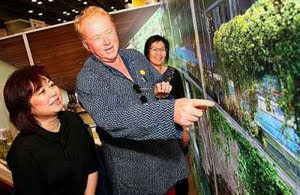 “Hotels, the urban environment and now even houses have started to look more like microwave ovens,” he said at a talk during The Star Property Fair 2009 here yesterday. Wijaya challenged the housing industry to break out of its decades-old fascination with landscape designs that “looked man-made and machine-made.” “Some Bali exports have become soulless,’’said Wijaya. He said most external and some indoor designs tended to have the “new Asia zen garden design kit” comprising timber grills, Uspouts, leaking black walls and stepping Bali stones. “Someone told me that by 2050, Asians may have to look to Europe for cultural architecture if things go on (like this),” he said in jest. He noted however that making gardens and patios more natural looking did not mean that it would lose the modern and contemporary touch either. ID Benchmark Sdn Bhd art director Valerie Choi said one of the most important things in making a room appear larger was the choice in furnishing. “Select furniture with an open concept such as wide-legged chairs and coffee tables,” Choi said. One should also be aware of the traffic flow in the room by placing the largest piece of furniture and arranging other smaller furniture around it. These tips, she said, should be utilised by small space owners particularly city folks who live in high-rise buildings with confined space. She said owners should also stick to the principle of “less is more.” “Keep your apartment clean and simple. Clutter free is always stress free.” She also said the easiest trick of the trade in creating a larger space - by using mirrors. 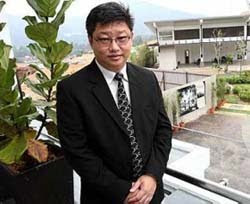 KUALA LUMPUR: When choosing a property, have a mountain at the back and water features in front, said Joey Yap. All ears: Feng shui master Joey Yap speaking to an attentive audience during his talk at the Kenny Heights’ VIP Lounge at The Star Property Fair 2009 yesterday. “Mountains govern matters related to human relationships and longevity while water affects one’s financial health and growth,” said the fengshui master. He advised homebuyers to look for properties with these features to enjoy their benefits. Joey said importance should be placed on the environment, building and personal aspects when buying a property. He said many mistook Chinese superstitions to be feng shui. 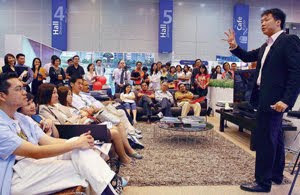 “Good feng shui is understated, zen-like and clean,” he said at a talk during The Star Property Fair 2009 yesterday. Master at work: Koh presenting “How to choose a good property from a Feng Shui Perspective” at the property fair. He said high tension wires were not just bad for feng shui, but bad for health, too. “One should also avoid places at top of hills, that faces mountains and at lower parts of valleys,” he added. Koh said the presence of water elements, such as rivers, provide a good pool of energy or chi. 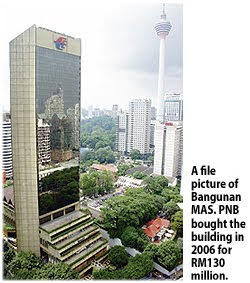 He pointed out as example Masjid Jamek, a thriving business area that attributed its vibrant development to its location — sitting above two symmetrical rivers. Iskandar Malaysia in Johor, the first and possibly the most ambitious of the country's five economic corridors, has attracted some RM9 billion of new investments so far this year, exceeding its full-year target of RM3 billion, an official said. "We were able to do this despite the global economic crisis as we had targeted long-term investors," said Harun Johari, the outgoing chief executive officer of the Iskandar Regional Development Authority (IRDA). IRDA is the body responsible for the direction, policies and strategies of Iskandar. 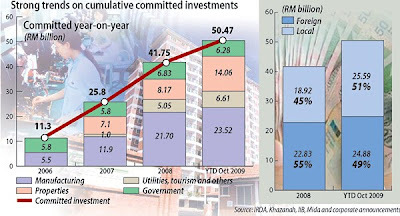 The bulk of the RM9 billion came from local investors and was invested in property, Harun said. Iskandar, incepted in November 2006, has drawn RM50.5 billion in cumulative investments as at October this year. This is more than the RM44.76 billion it had targeted for the full year. Out of the RM50.5 billion, 35 per cent has already been spent on actual work on the ground, Harun said. Iskandar has not been entirely spared the impact of the global crisis. Damac Group, the second biggest property developer in Dubai, a city hit hard by the financial crisis, in June pulled out of a deal with UEM Land Holdings Bhd to buy a piece of land in Nusajaya for RM396.4 million. It was to have built a world-class integrated waterfront development. 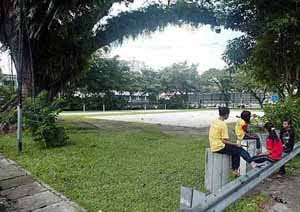 That marked the first time that a potential investor had withdrawn from a deal in Iskandar. Damac had pulled out after a property bubble burst in Dubai. Harun, however, pointed out that Iskandar has since found a "replacement" for the amount of investment lost there in the form of a South Korean investor. He declined to give details on the new investor. "The important thing is that Iskandar has achieved a lot. The momentum is there and will continue," he said. He said IRDA's focus over the next two to three years would be to get projects on the ground and generally "make things happen". That is critical as the project has drawn criticism for not having shown speedier developments on the ground. Harun takes the criticism in stride. "Criticism for a mega-project is normal," he said, adding that it was important for critics to come see for themselves the pace of developments there. He is confident that his successor, Ismail Ibrahim, will do a good job of continuing the momentum at Iskandar. Ismail, who takes over in January next year, is currently the director of the National Physical Planning Division under the Urban and Rural Planning Department. The new role will not be an unfamiliar one as Ismail was previously involved in the inception of Iskandar. PETALING JAYA: Malaysian construction companies are not likely to be hit by the debt crisis affecting Dubai, said industry players. Dubai has been struggling to ease fears of a massive debt default after it moved to delay repayments at two flagship firms, which has shook confidence in the Middle East as a centre for investment. 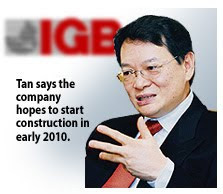 Master Builders Association Malaysia (MBAM) president Ng Kee Leen said most of the Malaysian construction companies had either pulled out or were at the tail-end of completing their contruction projects there. “There aren’t many local construction companies left in Dubai,” he told StarBiz yesterday. Meanwhile IJM Corp Bhd chief executive officer Datuk Krishnan Tan said the company had already completed the bulk of its projects in Dubai. “IJM is not affected. We don’t have much there (construction projects in Dubai). We’re almost done with the construction of Fortune Tower at Jumeirah Lake in Dubai,” he said, adding that currently there was no problem with payments. 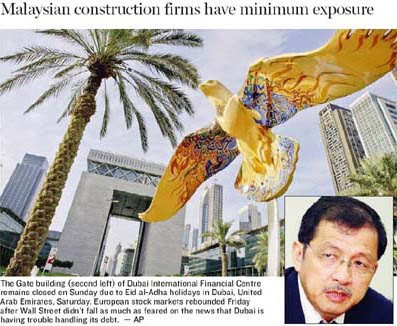 A Gamuda Bhd top official said the company was not significantly exposed to the fallout in the construction sector in Dubai. Interior fit-out (IFO) company LCL Corp Bhd founder and executive chairman Datuk Low Chin Meng said payments were generally slow in Dubai. “We will shift our focus on interior fit-out (IFO) contracts in cash-rich Abu Dhabi, after the completion of projects in Dubai,” he said. The company has projects such as Atlantis The Palm Hotel, Dubai Metro System, Dubai Mall and Dubai Marina Hotel. Concern over the level of debt held by the Government and its affiliated companies had sent jitters throughout the Gulf region and had affected investors confidence level. Earlier in the year the Dubai’s stock market was down 60% and many residents believed that the property market was on the brink of collapse. Dubai had borrowed billions to finance its infrastructure and construction companies such as Dubai World, and Emirates Airline. A local property analyst said Dubai was likely to be on the road to recovery. “The worst is likely over as the market has bottomed out. The economy was very bad at the start of the year. The housing market fell into a slump and property prices fell as much as 50% even in prime location and many expatriates left the place,” he said. Early this year, WCT Bhd lost a US$1.3bil (RM4.6bil) contract to build a racetrack in Dubai it had won back in 2007 as the client alleged that WCT and its partner Arabtec Holding PSJC was behind schedule. However, WCT disputes the accusation and is presently fighting to reclaim RM300mil that includes advance payment of RM178mil and a performance bond. It also seems that the Iskandar growth region in southern Johor will not be affected by the Dubai debt crisis. It was reported that Johor Mentri Besar Datuk Abdul Ghani Othman said this was because only one company from Dubai had invested in a real estate sector in the growth region. He said the company, Damac Properties, was involved in a property project on an 8ha site in the Iskandar region. He added that most of the investors in the growth area are from Saudi Arabia, Kuwait and Abu Dhabi and that the Dubai company had yet to start operation. The capital values for high end condominiums in quarter three (Q3) this year are currently still hovering close to the original purchase prices, albeit with a small premium. Regroup Associates Sdn Bhd executive director Paul Khong tells StarBizWeek via e-mail that new launches during this year has done fairly well with at least 50% sales or more. “The demand which headed upwards earlier this year was due to the perception of an uptrend in the economy and the availability of low financing rates locally,” he says. He further says that prices range from RM1,000 to RM1,300 depending on projects located on the fringe of KLCC. The best ones are now changing hands at RM1,600 per sq ft to close to RM2,000 per sq ft.
“Generally, the market took a sudden upturn from quarter two this year till mid of quarter three. Sales of condominiums which were within the affordable range of RM1mil to RM2mil per unit price took of well. Sales were brisk. For example, St Mary, SP Setia’s Sky Residence and few others,” he says. 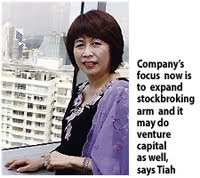 Khong adds that enbloc purchasers are also reselling their units in KL Pavilion. Generally, sales are going well with more than 50% done. “However, by mid September, the demand has weakened and sales have slowed down and this trend is expected to carry through to the holiday seasons,” he says. On the real property gains tax (RPGT) to be imposed by the Government in January next year, Paul says the introduction of RPGT at 5% will obviously have a negative impact. “It has drawn mixed reactions from the market and many parties view that this move will dampen market sentiments,” he says. Paul adds that although it is intended to curb speculation, the impact will only be seen in the next six months. “Many property owners will now rush to sell off their investments within the next 18 weeks or so to escape the RPGT. On the regional investment market, Malaysian properties will now be less attractive as any gains obtained from disposal will be taxed,” he says. He further says that the local market rallied when RPGT was temporarily suspended in March 2007. Prices in KLCC and Mont’Kiara shot up substantially. “But by Q3 2008, all the premiums gained earlier have virtually disappeared,” he says. Meanwhile, property developer Naza TTDI Sdn Bhd marketing & sales and quality assurance senior general manager Myrzela Sabtu tells StarBizWeek through an e-mail that the performance outlook for high end properties is neutral to positive. “Factors include better economic performance outlook, favourable interest rates, strong commodity prices, more optimistic sentiment for next year, strong employment figures and better stock market performance,” she says. She adds that in the case of Naza TTDI, the demand for their high end properties are well-received based on their strong following, a substantial number of repeat buyers, appreciation value of the houses, quality and good after sales service. “Strategies that are being undertaken to increase sales is to make it easier for customers to purchase properties such as zero entry cost and no stamp duty, value for money and the property is built to advance stage before launch to reduce holding period,” she says. Naza TTDI’s current high end residential projects among others is the The Valley TTDI in Ampang. DTZ research report for Q3 says that market confidence is being restored for residential sector with stronger take up in the new launches and increased transaction in the secondary market. DTZ consulting and research executive director Brian Koh says that prices are stable in Q3 but would face pressure, as there is still substantial new supply pending completion. “There are also some tentative signs that foreign buyers are trickling back into the market due to the deregulation of foreign investment committee (FIC) guidelines announced on June 30. In the new guidelines, all properties transactions, including those between foreigners and “non-bumiputra” will no longer require FIC approval except for transactions that involve a dilution of “bumiputra” or Government interest for property valued at RM20mil and above,” he says in the report. He further says that Pavilion Tower which was recently completed and soft launched in August is well received with prices that are about 30% higher than Pavilion Tower 2 which was launched and fully sold three years ago. Generally, he says that there is relief from the market that worst may be over although it may be too early to ascertain given current experts views on truncated “V” or “W” shape recovery. Two weeks ago, we ran a piece on the importance of looking at details over and above location, pricing and the reputation of the developer. The piece highlighted the importance of installing smoke detectors, a sprinkler system and an adequate number of lifts in a condominium development. A developer who is building a 38-storey condominium in SS2, Petaling Jaya called to say that the high-end project will have three lifts, instead of two as published. Here is some food for thought. Another developer will be launching a 20-storey Bukit Jalil project comprising several blocks on 2.5 acres. It will be a high density project and each block will have three lifts. A 20-storey condominium project in Kepong, Kuala Lumpur, launched in 2003, also has three lifts. The same developer is now building a 40-storey building. It will have four lifts and one service lift. As a developer builds upwards, access becomes increasingly important. That is why some very high-end projects around the KLCC city centre has their own private lift lobby with one or two lifts serving one single unit. It is up to buyers to press developers to have a variety of foliage. When one considers buying into a condominium project, one pays a premium for the higher floors. The view tends to be better as one goes higher, it is cooler and there are less mosquitoes. While there are advantages of buying into a higher floor, this should be balanced with accessibility. If you have the resources to buy the penthouse, should you not consider the accessibility to get your basement car park or to level ground? The lift is the only way. You are already paying a premium for that unit and you are already compromising by sharing the lifts with everyone who lives below you. Hence, the number of lifts that the project has is very important, especially if you are going to be at the very top. From the penthouse, we take the lift to the basement car park. Although this may be a strata-titled project – it is gated and guarded – the basement car park can be a security issue. Buyers tend to be enchanted with the show unit with no consideration for the car park. If the project is already built, check out the basement parking. Does it have a high-ceiling? Is it well-lit and airy? Are there many nooks and corners that allow people to hide in shadows? Are the parking bays large enough or is it a tight squeeze for larger sedan? It would be a good idea to ask for a copy of the basement car park plan and imagine the route from the lift lobby to your parking bay. If there are elderly or wheel-chaired family members who will be living in the condominium unit, they will have problems if they have to manoeuver a flight of stairs, or even several steps, to get to the parked car. This takes us to the importance of a project having a pick-up and drop-off points. Having a nice high-ceiling lobby may be impressive, but is there a large enough area where your family members and friends can collect you or drop you off with no hassle? Or will you have to walk to the security guard house and wait? Since we are considering the amenities outside the building, something has to be said about landscaping. There was a time when palm trees were very popular. It makes no sense to plant trees which shed their tiny leaves near a pool. However, developers’ enchantment with palms is something that has to be weighed. Developers tend to like palms instead of trees which shed their leaves daily. While palms are easier to maintain as the fronds do not shed weekly and because the fronds come in one piece, they are easily picked up and thrown away. While some consider them aesthetically pleasing, they are not shady. Some high-rise projects today come with a landscaped park. It makes no sense to have a one-acre park planted with just palms. It is up to buyers to press developers to have a variety of foliage, and that includes large trees which provide shade, as well as shrubs. The Ascott Group Ltd, the hospitality arm of the Temasek Holdings-controlled CapitaLand Ltd, aims to double its asset portfolio in Malaysia to more than RM1 billion by 2013. Its Malaysian assets are currently worth around RM500 million, said Ascott managing director for Southeast Asia and Australia, Alfred Ong. They include Ascott Kuala Lumpur, Somerset Seri Bukit Ceylon and Somerset Ampang. Somerset Ampang comprises a 21-storey serviced residence of 207 units, which will house the HSC Medical Centre in the first eight floors. The RM160 million project is scheduled to be completed by end-2010. Ascott also owns and/or manages Somerset Gateway in Kuching, Sarawak. Under its corporate leasing division, it manages 68 apartment units in Seri Bukit Ceylon Residence and Marc Residence in Kuala Lumpur. 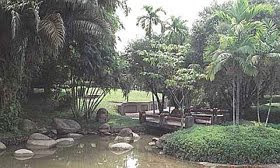 By the third quarter of 2010, it will start to manage 147 units of Tiffini by i-Zen in Mont' Kiara, KL, a development by Ireka Group, which is slated to be completed by first half of 2010. "We have several other projects in the pipeline in Malaysia. We are in the final stages of negotiation with the respective developers for management contracts," Ong said in an interview with Business Times in Kuala Lumpur. "We are looking into new frontiers like Penang and Petaling Jaya and making a stronger presence in Malaysia," he added. Ascott recently inked a deal with GSB Sentral Sdn Bhd to manage the 21-storey serviced residence tower at 348 Sentral at KL Sentral, a transport hub in Brickfields. GSB, a joint venture between Malaysian Resources Corp Bhd and Gapurna Sdn Bhd, is developing the energy efficient 348 Sentral for RM1 billion. 348 Sentral will also feature a 33-storey office tower but this will be managed by GSB. The 348 Sentral project is schedule to be completed by the third quarter of 2012 and Ascott will manage the serviced residence for 15 years from then. Ong said the serviced residence will strengthen Ascott's leadership position in Malaysia and increase its portfolio to 1,000 apartment units. "If there is an offer from GSB to manage the office tower, we will consider it. For now, we will focus on getting new jobs in Malaysia," Ong said. Malaysia's largest conglomerate Sime Darby Bhd will build a new RM100 million hospital at its residential development in Ara Damansara, Selangor, bringing the group's total number of hospitals in the country to four. The new hospital is expected to be completed by 2012. An industry source said the new hospital is part of Sime Darby's vision in becoming a formidable healthcare player in the country and the region. "The new hospital in Ara Damansara will be known as the Sime Darby Medical Centre Ara Damansara. Sime Darby is intensifying efforts to bolster its healthcare business division, where the segment is very competitive but recession-proof, enabling the group to earn an income even during economic hard times," the source said. Analysts see the new hospital as part of Sime Darby's long-term plan to grow its healthcare business, which together with general trading and other business account for about 10 per cent of the group's revenue. 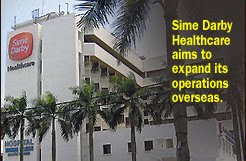 Sime Darby currently operates two hospitals and a nursing college in Selangor. They include the 393-bed Sime Darby Medical Centre Subang Jaya (formerly Subang Jaya Medical Centre) and the Sime Darby Specialist Centre Megah, which is a day-surgery and outpatient specialist centre, in Petaling Jaya. It also owns and operates the Sime Darby Nursing and Health Sciences College in Shah Alam, which is managed by its healthcare arm Sime Darby Healthcare Sdn Bhd. The group is also in the midst of building the 350-bed Sime Darby Medical Desa Park City in Desa Park City, near Bukit Menjalara, Kepong, Kuala Lumpur which is scheduled to be completed in 2012 at a cost of RM350 million. In its filing to Bursa Malaysia on October 26, Sime Darby had announced the setting up of Sime Darby Medical Centre Ara Damansara Sdn Bhd which at present is a dormant company. It bought two ordinary shares of RM1 each in Sime Darby Medical Centre Ara Damansara, which represents the latter's total paid-up capital. Sime Darby had said Sime Darby Medical Centre Ara Damansara will be involved in healthcare facility services management and other healthcare-related services. On Wednesday, during the announcement of the group's first-quarter results ended September 2009, Sime Darby president dan group chief executive Datuk Seri Ahmad Zubir Murshid had said that healthcare business is now one of the conglomerate's core businesses. Its other businesses are plantations, automotive, heavy equipment, property, energy and utility, spanning over 20 countries. "The healthcare business is growing rapidly and we will continue to bolster this sector. We expect to own two new hospitals in the next two years," Ahmad Zubir had said. Apart from Malaysia, the healthcare business division managed by its healthcare arm Sime Darby Healthcare also aims to expand its operations overseas, especially in Asia, over the next three years. It now has a presence in Indonesia, Vietnam, the UK and the US. The Star has so far organised eight annual property fairs in Penang and the response from exhibitors and visitors has been encouraging. For the forthcoming fair in Kuala Lumpur, visitors will be able to view the latest offerings by renowned local developers with a broad range of properties from medium to medium high-range houses, bungalows, exclusive condominiums as well as commercial projects. There will also be talks and forums conducted by various industry experts on various topics including property investment, feng shui, interior decoration and wealth management. Other attractions include a CIMB Property Mart Mega Auction on Saturday (noon — Leong Auctioneers; 3pm Ng Chan Mau Auctioneers). Entry forms are available at the Information Counter located at Hall 4 & 5. All you have to do is to answer some simple questions and tell us why you enjoy visiting the fair (in not more than 15 words). Prizes will be drawn daily and all daily winners will be notified by phone. 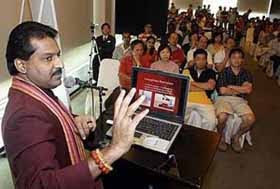 PETALING JAYA: Bestselling author and renowned financial coach Captain Azizi Ali is scheduled to give a talk on property investment at The Star Property Fair 2009. The fair, which had been held in Penang for seven consecutive years since 2002, will make its Kuala Lumpur debut at the KL Convention Centre on Nov 27–29. Azizi, author of Millionaires are from a Different Planet, will share his knowledge on how to profit from property investments on Nov 28 at noon. “I will be talking about how to avoid potentially poor choices when it comes to purchasing properties and how to profit through property investments,” he said. Dubbed “Millionaire Coach”, Azizi is a trained commercial pilot with over 27 years of experience. His venture into financial writing and coaching started with a simple intention to learn more about personal finances. According to the 47-year-old, he has read more than 800 financial books and earned his first million at 36. Azizi insisted that people needed to find the most suitable form of investment for themselves. However, there is no denying that the profit garnered from property investment is lucrative. An avid property investor himself, Azizi stated that becoming a millionaire was not an overnight process. About 25,000 visitors are expected at the three-day fair to view the latest offerings by reputable local developers. Expect a wide range of properties from medium to medium high-range residences, luxury bungalows, exclusive condominiums as well as commercial projects. Other attractions include auctions by CIMB Property Mart and a contest with attractive prizes worth RM20,000 to be won. For enquiries, contact Ian Qua or Nelsen Ng at 03-79671388 ext 1165/1432.